“”Fifteen Minutes of Fame”….is there a price for our kids? We all want to believe that Facebook takes parents’ concerns about privacy seriously. But the truth is that Facebook is a publicly traded company that cares first and foremost about making its shareholders happy. We have no idea how far it will go to do so, especially since the company is not extraordinarily profitable right now. But what we do know is that Facebook is pushing our boundaries now, often, to see just how much of our privacy we’re willing to give away. Why I’m Done Posting Photos of My Kid On Facebook. Over the last few years, since I began blogging, I have been surprised how much and how often moms share pictures and stories about their children. Their photos are usually gorgeous and give beauty and faces to their stories about events here there and everywhere. Many blogs are running chronicles of what life is like in a given family. It is a social media reality show of real life parenting in many cases. Facebook and Instagram house many family photos and tales. Sites like Babble and their bloggers often share photos and stories about parenting issues from single parenting moms and dads, to families dealing with sleep issues, discipline, feeding and various and sundry situations of family life. Many times, I have wondered how much is too much sharing on Facebook, Instagram and personal blogs. Occasionally, the comments can get quite nasty and personal too. I have wondered what the children of today’s parents are going to say when they realize that they have lived in a glass house like the movie, Truman Show that starred Jim Carrey, where his life and all his movements were being filmed without him even knowing it. The Truman Show is a 1998 American satirical comedy-drama film directed by Peter Weir and written by Andrew Niccol. The cast includes Jim Carrey as Truman Burbank, as well as Laura Linney, Noah Emmerich, Ed Harris and Natascha McElhone. The film chronicles the life of a man who is initially unaware that he is living in a constructed reality television show, broadcast around the clock to billions of people across the globe. Truman becomes suspicious of his perceived reality and embarks on a quest to discover the truth about his life. via The Truman Show – Wikipedia, the free encyclopedia. This kind of exposure of children and the internet is uncharted territory. In some cases we are only getting a glimpse of what this type of exposure is capable of doing to our privacy. Are we as parents willing to take that chance with our privacy and our children’s right to privacy? Have you drawn boundaries when it comes to social media? 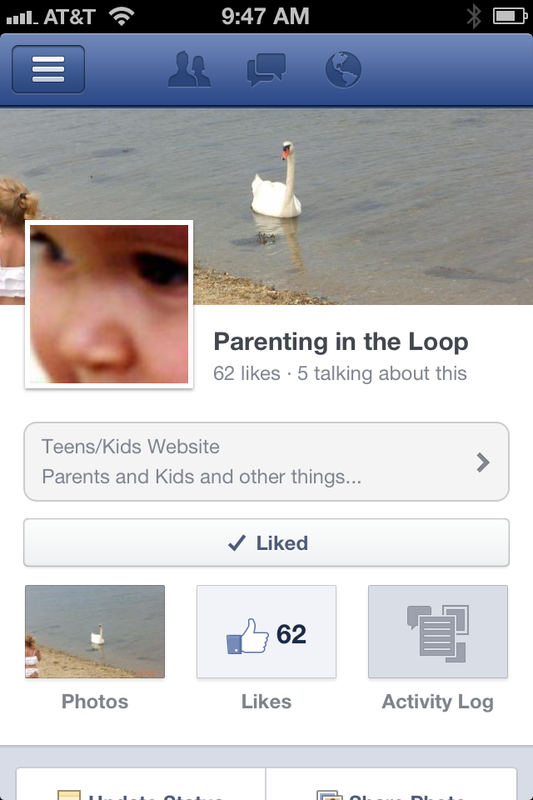 Will you set up rules for your kids as they get older and want to share on Facebook? As a grandparent, I wonder how it will play out…I trust today’s parents will figure it out…Right? This entry was posted in Family, Grandmas & Grandpas, Moms & Dads and tagged Facebook and Kids, Kids Rights, privacy by llpitlwp. Bookmark the permalink.